Recently, a British Army apprentice soldier's web site noted that the AFPAA1 and the Veterans Agency will become a single organization beginning 1 April 2007. The Minister for Veterans Derek Twigg said the new agency would be known as the SPVA.2 Compare these government services with the American approach, surely of interest to veterans of the British Armed forces if only by way of comparison with the services available from the British government. 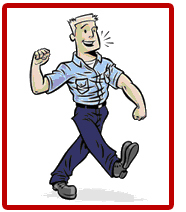 VAJoe.com is a privately-owned and operated website for U.S. veterans and service personnel. It launched in October 2006 and is the fastest-growing military site on the web. Membership is open to anyone in the U.S. military community: veterans, those on active service, their families - even military aficionados. It's an information site; what site isn't? But this is one with a difference, a sort of U.S. military Google. Ask a question and get an answer. Yet it's more than that. If the site operators can't answer a question they'll look for one and get back to you. VAJoe has about 5,000 registered members - modest considering the size of the U.S. armed forces. It is picking up new members at the rate of about 350 a week; that's an astonishing record of performance for an everyday humdrum site that has barely left the gate. Surprisingly, it has a discussion forum with about 20,000 posts where members yak, beef, discuss family life, current events, and seek information on benefits. It averages 1,000 new posts a week - and these numbers are rising. One of the site's most popular features is its monthly Military Comedy Contest where members submit jokes with a military slant, videos, images, and captions for a photo. Other site visitors vote and winners by majority vote get a J-shirt, which, naturally, is the name for a VAJoe T-shirt. 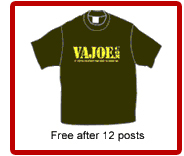 Anyone who makes 12 posts in the discussion forum also receives a VAJoe J-shirt. Nothing is more important to veterans - and serving personnel too - than the security of their families and benefits available to them. This is where VAJoe.com shines by offering information on VA home loans, the GI Bill and other educational benefits. 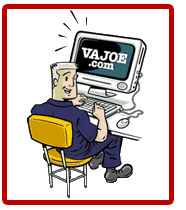 Unlike other sites, military or otherwise, VAJoe is not plastered with advertisements and pop-ups. It's a clean and uncluttered community site for all veterans, serving personnel and their families at no charge. VAJoe.com is continually growing with the addition of new services and others planned including a job board, a buddy finder and an NCAA tournament challenge with a prize for the winner - again at no charge. Lastly, why the VAJoe name? Simple! It's Joe's site, the fellow who started it. As he likes to remind others about the site he began, he says, "That's not Sloppy Joe or Average Joe, but VA Joe, but VAJoe.com is neither sloppy nor average." 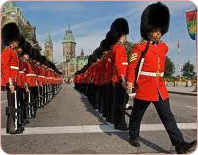 Our assessment is that it's a fabulous new website for all things military. Compare this VAJoe.com enterprise with the SPVA and wonder why some British veteran can't do the same! Abbreviation of Armed Forces Personnel Administration Agency. Service Personnel and Veterans Agency; another jaw breaker, not quite as awkward as AFPAA, but coming perilously close in obfuscator gobbledygook.